Clayton is located just outside Raleigh. With affordable housing options, excellent educational opportunities, outdoor recreation and a diverse arts and culture scene, it’s the perfect city whether you work in the nearby Research Triangle Park, the state capital or in a local business. You’ll find condos, two-bedroom homes and properties with acreage for growing families. If you’re considering a move and want to view property for sale in Clayton, NC, The Beth Hines Team can help you locate what you’re looking for. Clayton offers many amenities for families, couples, singles and seniors. In September, take part in the Clayton Harvest Festival, showcasing local bbq, antique cars and arts & crafts. The Clayton Rotary sponsors the annual Christmas Parade. Every year, there’s a huge 4th of July celebration. The Clayton Center brings in professionals, such as Kathy Mattea and the Fabulous Equinox Orchestra. Raleigh has many museums to visit to explore history and art. Sports and outdoor enthusiasts will find plenty of opportunities in the local city parks. Soccer, softball, baseball and basketball are popular with locals. Legend Park offers trails for bicyclists, hikers and pedestrians to stay healthy. The Neuse River watershed provides opportunities for fishing, canoeing and bird-watching. The area has two prominent golf courses that will give experienced and beginner golfers an opportunity to play. Real estate for sale in Clayton, NC is conveniently located near several higher education institutions that are within a 60-minute drive. Johnston Community College is the closest, but Barton College, UNC-Chapel Hill and NC State are in the area. These international acclaimed schools offer occupational, technical and continuing education classes as well as bachelor and advanced degrees. 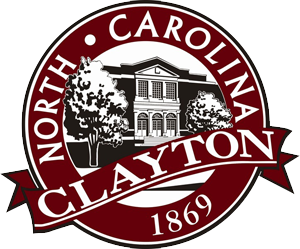 Those interested in property for sale in the Clayton, NC area will be glad to know of the great schools here. Johnston County Public Schools serves more than 36,000 students in the district. The school district has a strong arts and athletics program, as well as being accredited by AdvancEd. Over 45 different languages are spoke by students in the district. Many of the teachers are Nationally Board Certified. The culture is diverse and global. Clayton has a booming housing market and is known as a fast-growing progressive town, which makes property for sale in Clayton, NC a good investment. It’s a lovely area for families, retirees and singles. Interested in finding real estate for sale in Clayton, NC? Contact or call (919) 868-6316 Beth Hines today to search for your new home for your family. It’s a great time to buy real estate in the area. Let a professional real estate team help you find your dream home for the next stage in your life.